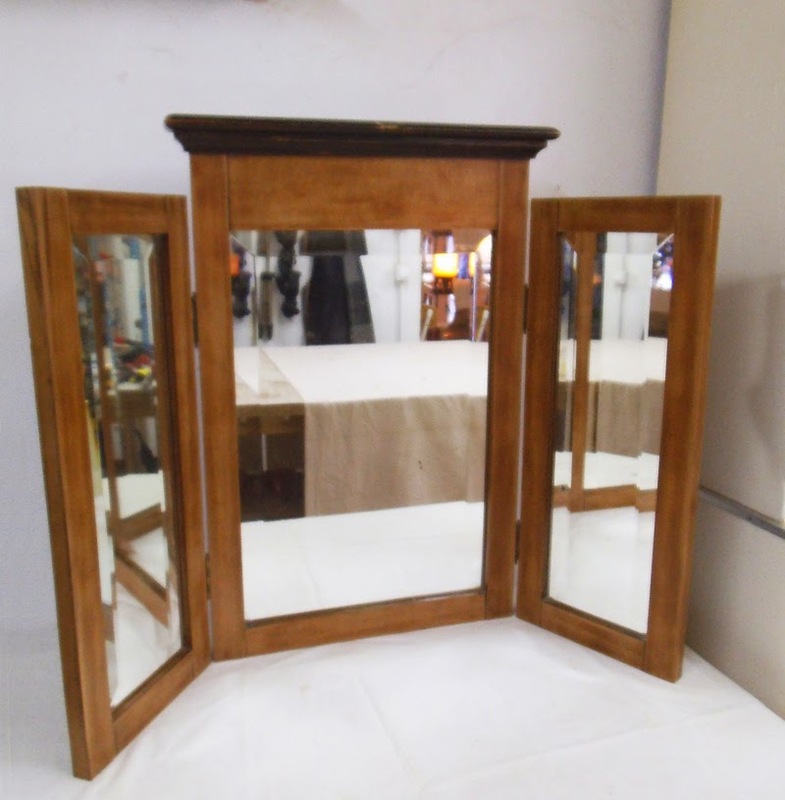 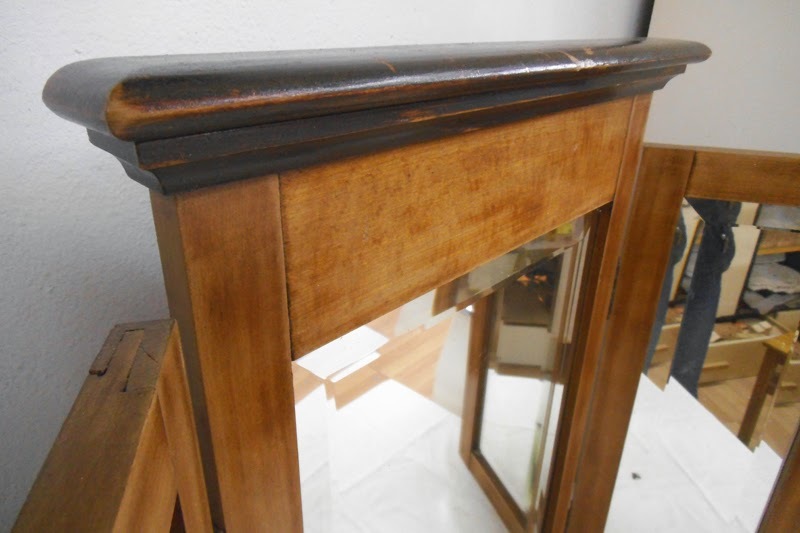 Restored turn of the century triple bevelled mirror with solid beech wood frame, perfect for a dressing table or even a bathroom. 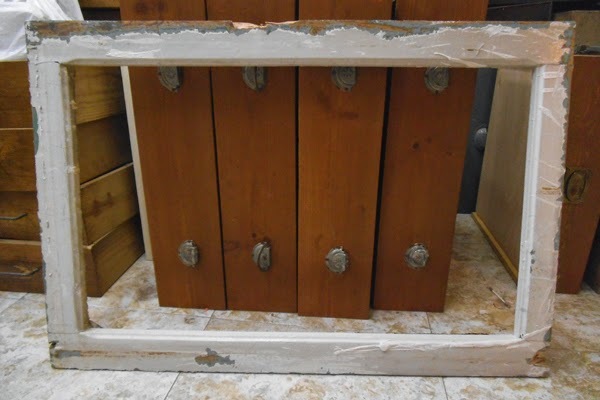 Measures: main frame 62 x 40cm, side frames 53 x 22cm. 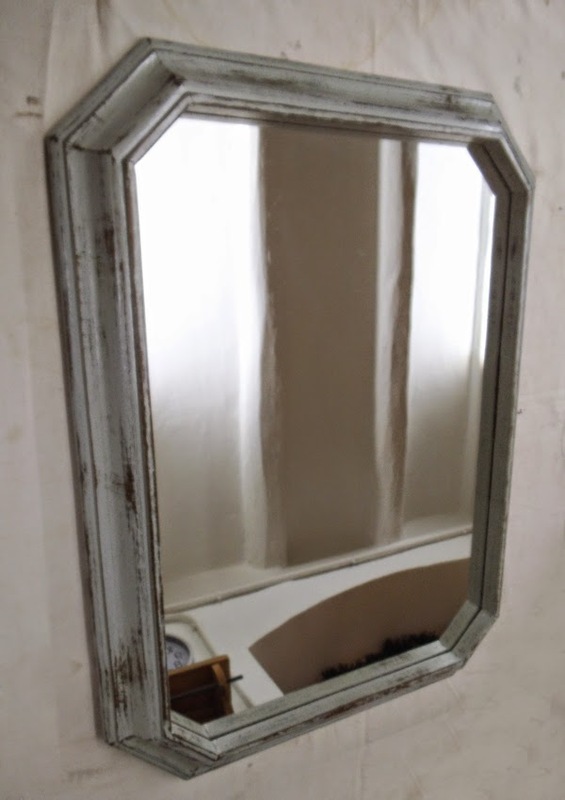 Beveled mirrors are 46 x 31cm and 46 x 14,5cm. 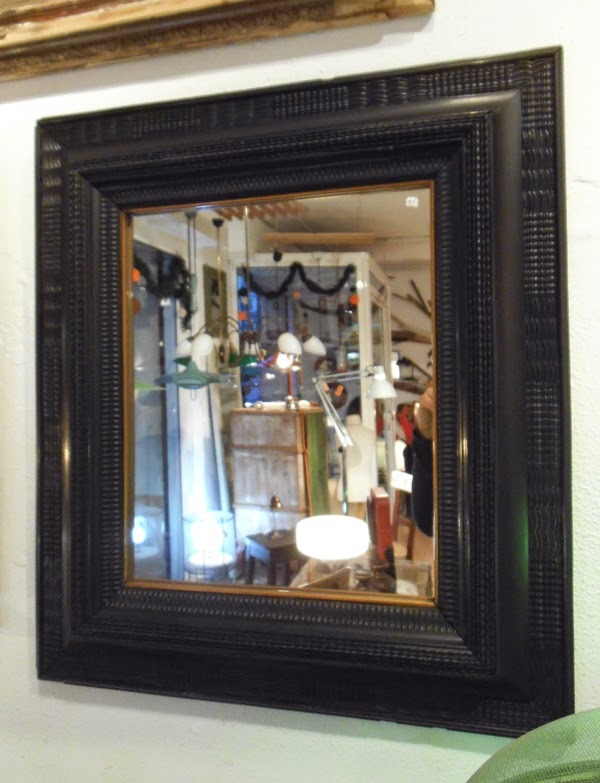 Vintage mirror from the 70s with octogonal wooden frame. 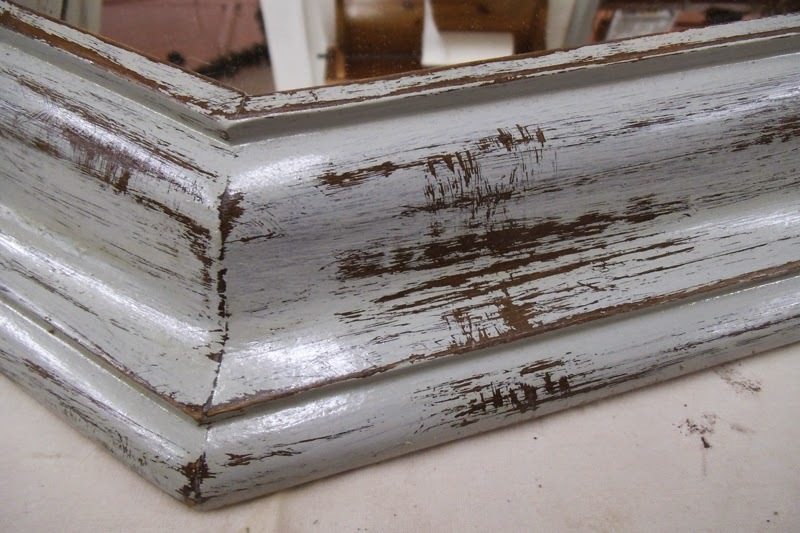 I have painted it in light, warm gray and created a distressed effect to highlight the lines of the moulding. 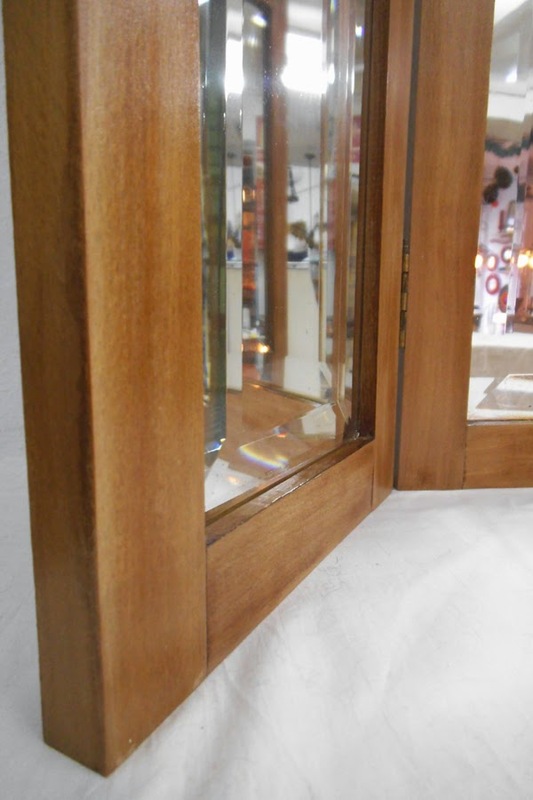 Measures: frame 80 x 60cm, mirror 66,5 x 46,5cm. 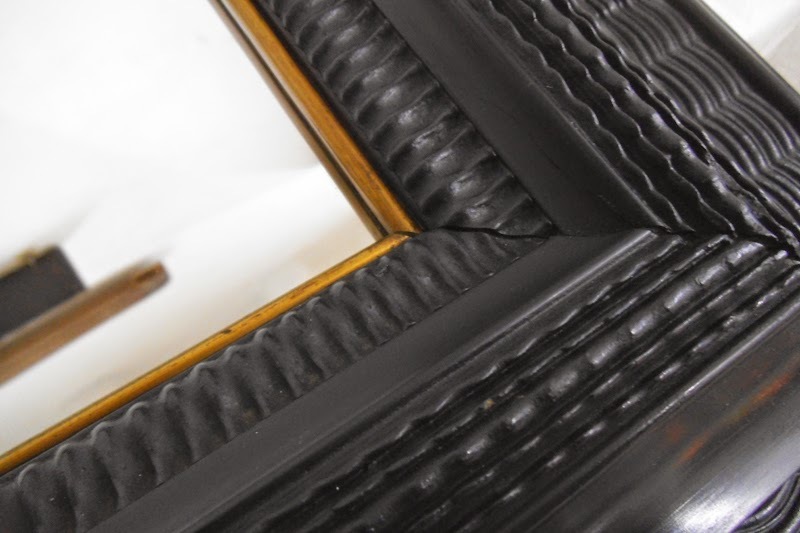 Vintage mirror with restored ornate plaster mould frame in light black and brass trimming. 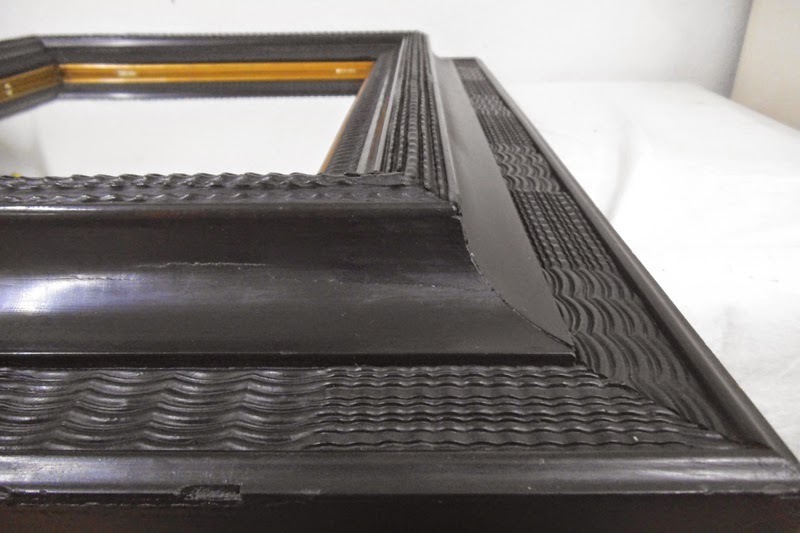 Measures: frame 63 x 56cm, mirror 38,5 x 31,5cm. 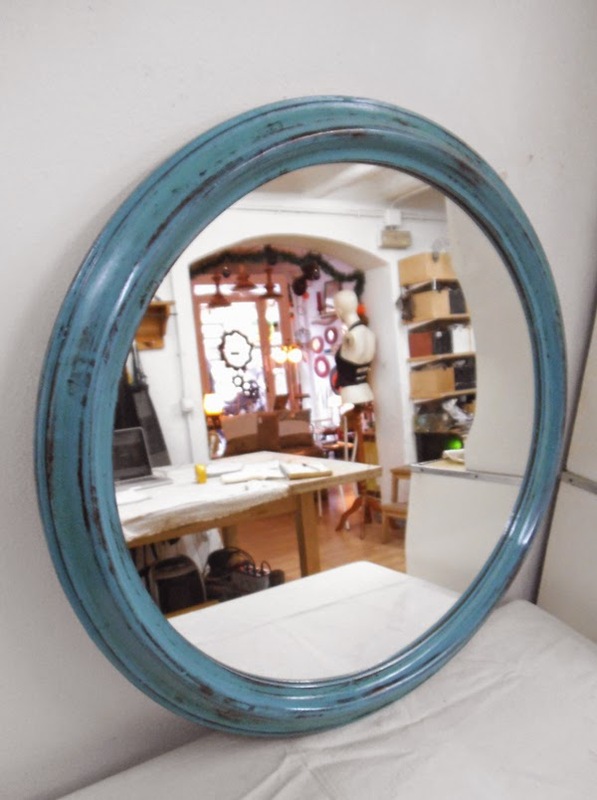 Bevelled round mirror mounted on an upcycled frame made out of the restored seat of an old Thonet chair and the metallic frame of a butane bottle trolley. 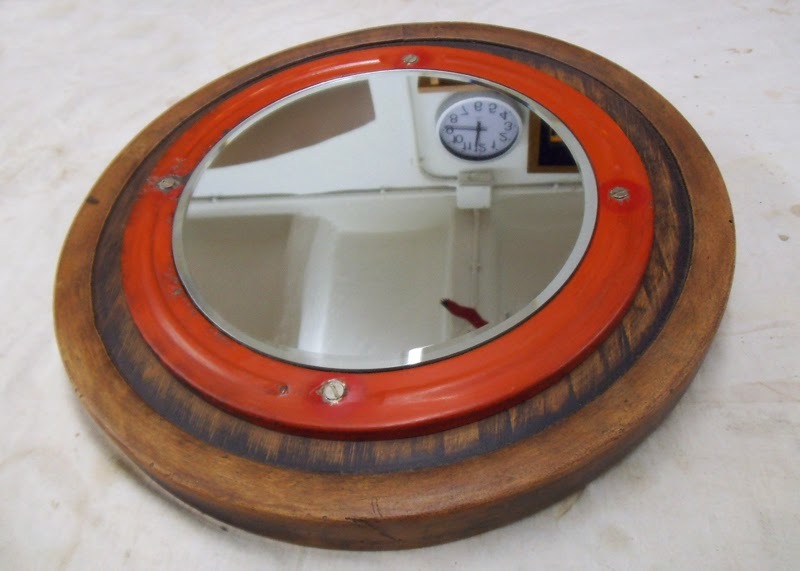 Measures: frame diameter 39cm, mirror diameter 25cm. 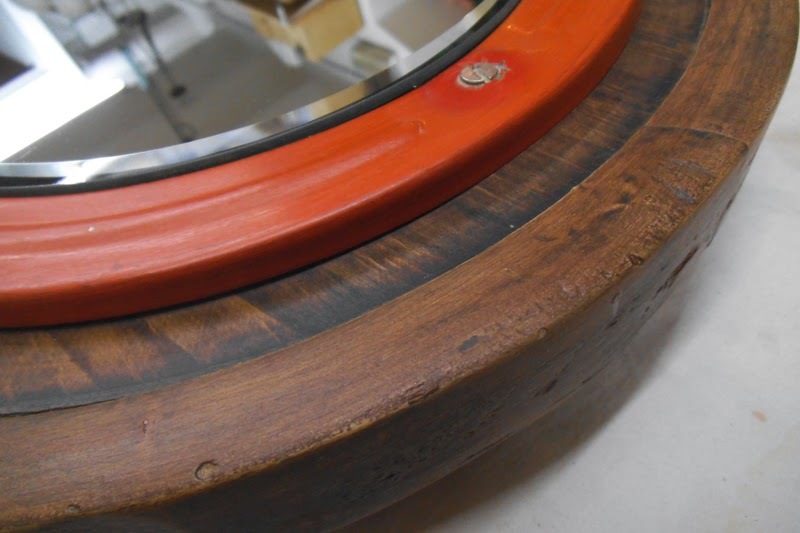 Big vintage round mirror with wooden frame. 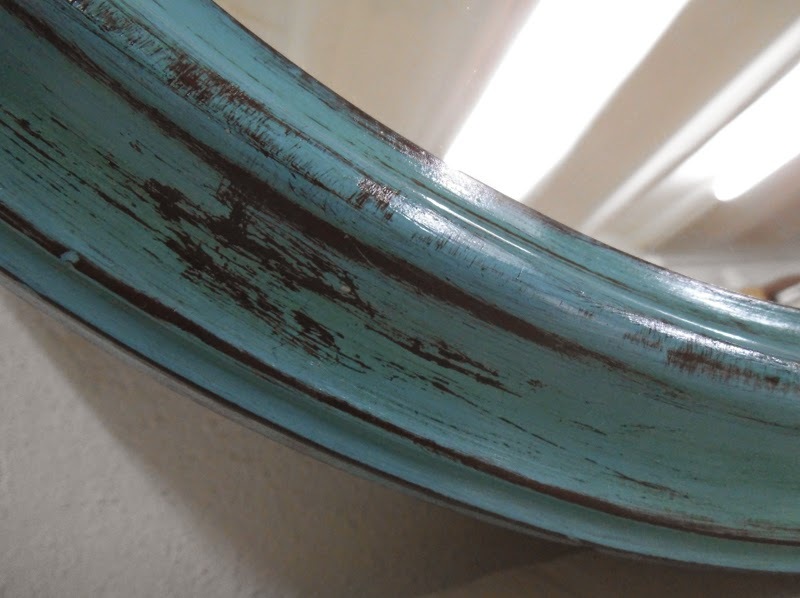 I have painted it in deep teal and and created a distressed effect to highlight the lines of the moulding. 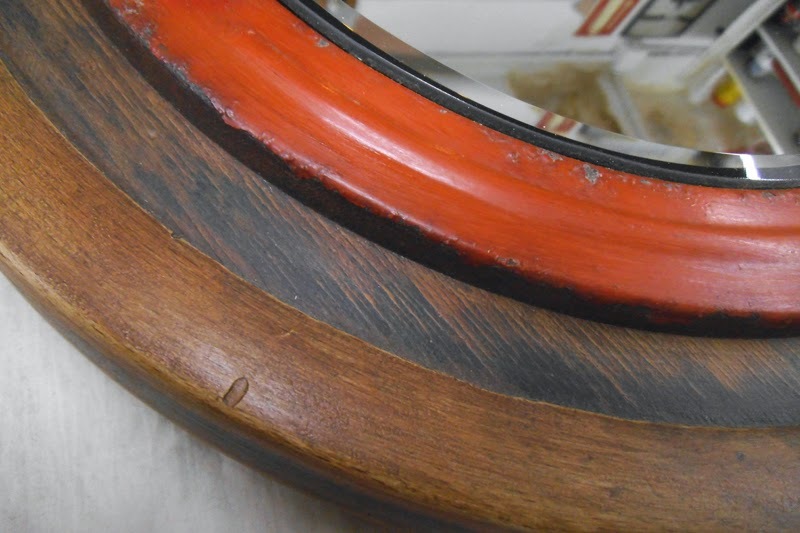 Measures: frame diameter 59cm, mirror diameter 48cm. 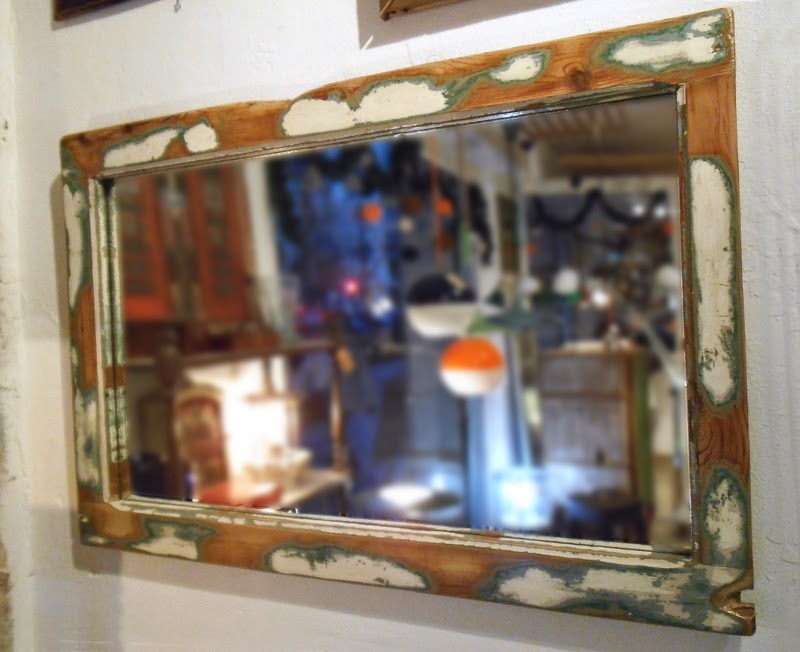 A medium-sized window frame in solid pinewood from the first decades of the 20th Century turned into a big wall mirror. 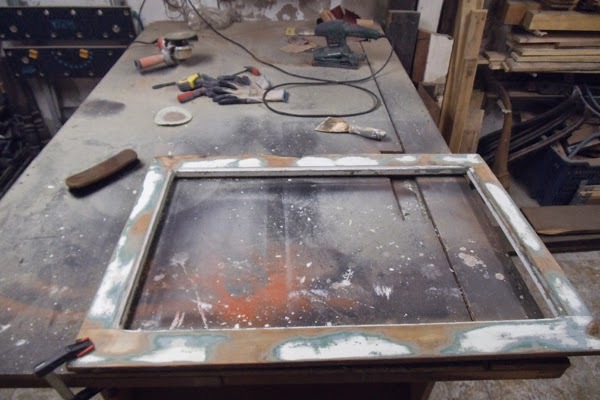 Check the pictures and the 'making of' below for further details. 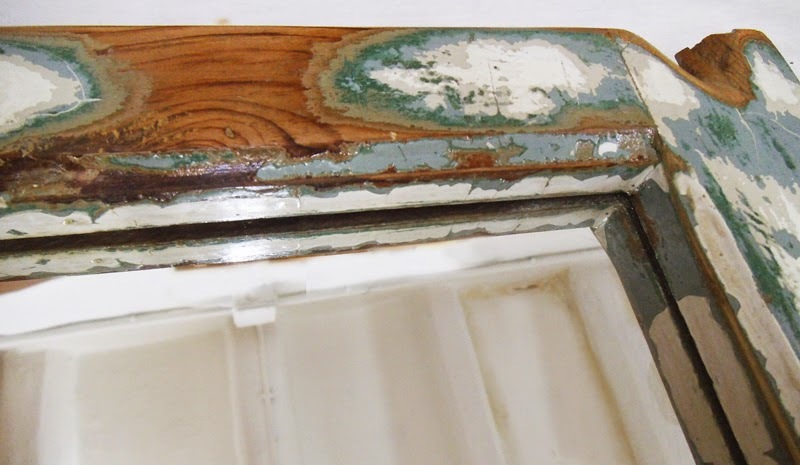 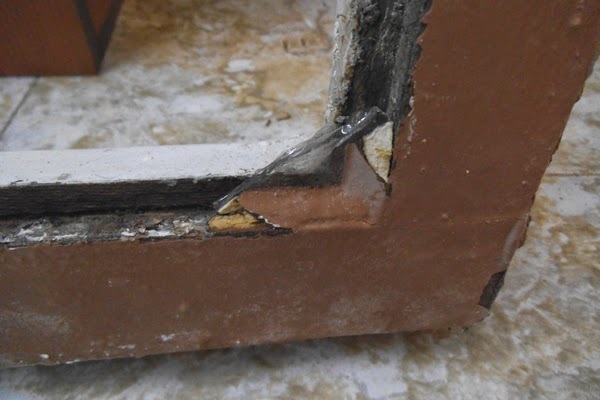 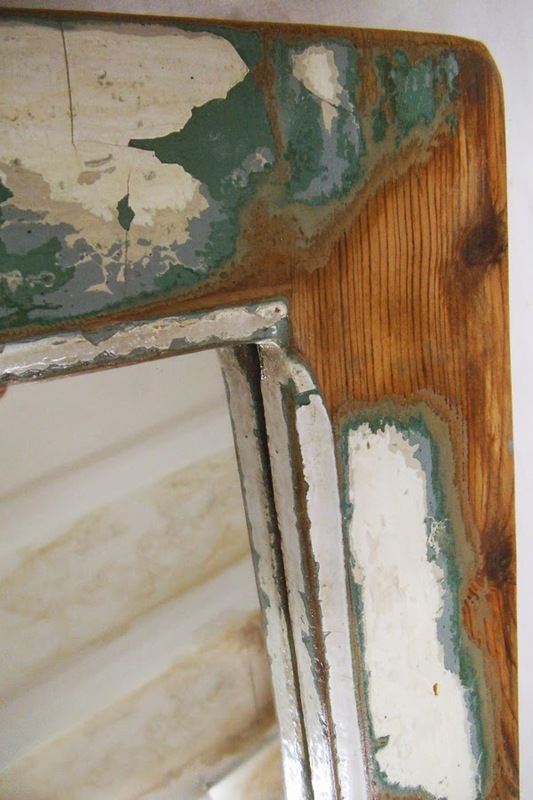 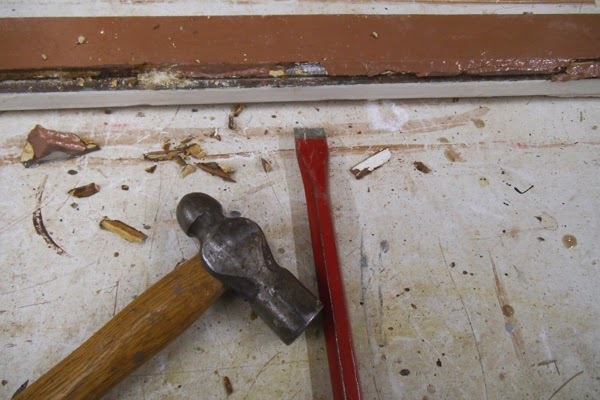 Getting rid of the old putty, rather hard, that was once used to secure the window pane. 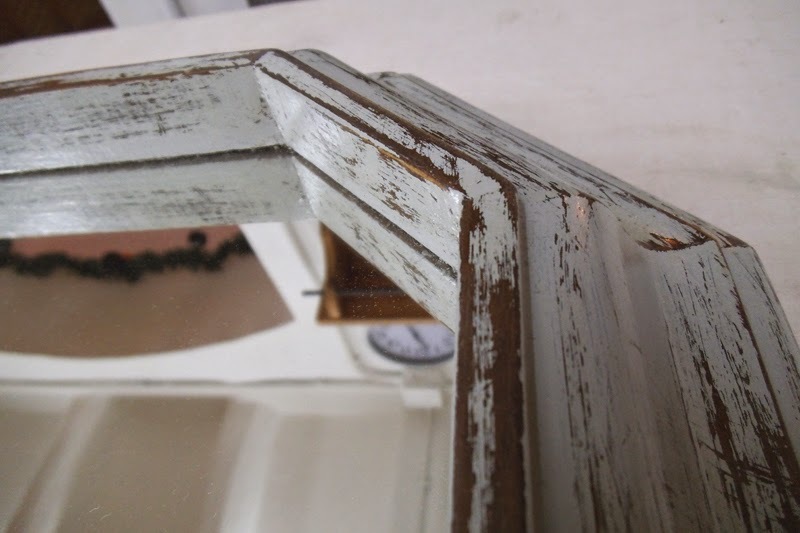 And then, the time consuming task of sanding and distressing. 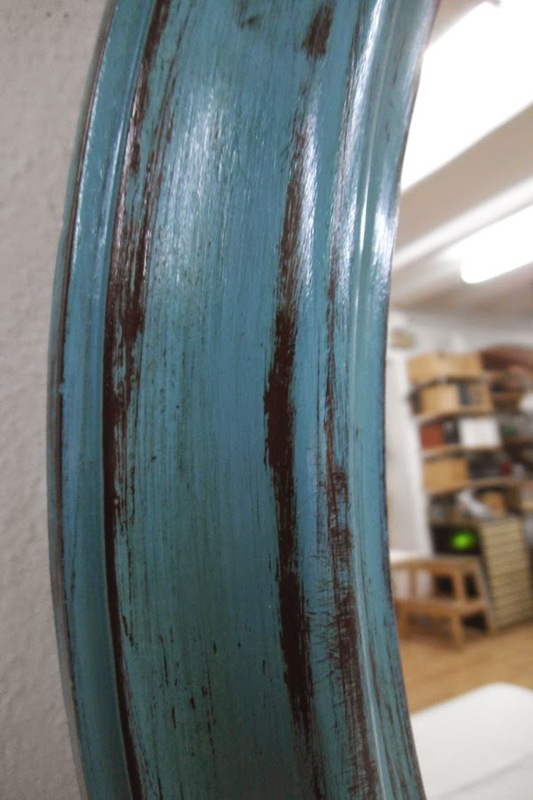 To finish with rounding the edges, varnishing and polishing (not shown).